Browse pillow-cases suppliers by country and region. Short on time? Let pillow-cases sellers contact you. Name of Product Pillowcase - pattern:Sky blue with flower Model BF-03B Material : Superfine Fibre 100 % Weight : 500 grams +-0.5kg Size: 45cm x 75cm +-3cm **PASS Free Formaldehyde Content Negative ion bedding are made from the fiber which called ï¿½? ?Superfine fiberï¿½? ?,making them nicely soft, ventilated, comfortable and durable. By our unique and professional technologies, make the ion mines,which are taken from the mountains of Canada,through the high temperature of 1200 degrees to filter impurities for purpose,then combined with fiber eventually. Providing full of negative ion energy which are guaranteed not only in 800 ions/c.c above but also effective period of 5 years at least. We adhere our bedding is made in Taiwan and in produced by a number of international certification. Let consumers buy at ease, use at ease. Name of Product Pillowcase - pattern:Purple with stripes Model PS-03B Material : Superfine Fibre 100 % Weight : 500 grams +-0.5kg Size: 45cm x 75cm +-3cm **PASS Free Formaldehyde Content Negative ion bedding are made from the fiber which called ï¿½? ?Superfine fiberï¿½? ?,making them nicely soft, ventilated, comfortable and durable. By our unique and professional technologies, make the ion mines,which are taken from the mountains of Canada,through the high temperature of 1200 degrees to filter impurities for purpose,then combined with fiber eventually. Providing full of negative ion energy which are guaranteed not only in 800 ions/c.c above but also effective period of 5 years at least. We adhere our bedding is made in Taiwan and in produced by a number of international certification. Let consumers buy at ease, use at ease. Name of Product Pillowcase - pattern:Dark Blue with stripes Model DB-03B Material : Superfine Fibre 100 % Weight : 500 grams +-0.5kg Size: 45cm x 75cm +-3cm **PASS Free Formaldehyde Content Negative ion bedding are made from the fiber which called ï¿½? ?Superfine fiberï¿½? ?,making them nicely soft, ventilated, comfortable and durable. By our unique and professional technologies, make the ion mines,which are taken from the mountains of Canada,through the high temperature of 1200 degrees to filter impurities for purpose,then combined with fiber eventually. Providing full of negative ion energy which are guaranteed not only in 800 ions/c.c above but also effective period of 5 years at least. We adhere our bedding is made in Taiwan and in produced by a number of international certification. Let consumers buy at ease, use at ease. Name of Product Pillowcase - pattern:Rose Model DR-03B Material : Superfine Fibre 100 % Weight : 500 grams +-0.5kg Size: 45cm x 75cm +-3cm **PASS Free Formaldehyde Content Negative ion bedding are made from the fiber which called ï¿½? ?Superfine fiberï¿½? ?,making them nicely soft, ventilated, comfortable and durable. By our unique and professional technologies, make the ion mines,which are taken from the mountains of Canada,through the high temperature of 1200 degrees to filter impurities for purpose,then combined with fiber eventually. Providing full of negative ion energy which are guaranteed not only in 800 ions/c.c above but also effective period of 5 years at least. We adhere our bedding is made in Taiwan and in produced by a number of international certification. Let consumers buy at ease, use at ease. Name of Product Bedding - Four groups of Queen size - pattern: Rose Modelï¿½ DR-43B Material : Superfine Fibre 100 % Weight : 4.8 kg +-0.5kg Including: Pillow case *2 Size: 45cm x 75cm +-3cm Two use a quilt *1 Size: 180cm x 210cm +-3cm Bed package *1 Size: 180cm x 186cm +-3cm **PASS Free Formaldehyde Content Negative ion bedding are made from the fiber which called ï¿½? ?Superfine fiberï¿½? ?,making them nicely soft, ventilated, comfortable and durable. By our unique and professional technologies, make the ion mines,which are taken from the mountains of Canada,through the high temperature of 1200 degrees to filter impurities for purpose,then combined with fiber eventually. Providing full of negative ion energy which are guaranteed not only in 800 ions/c.c above but also effective period of 5 years at least. We adhere our bedding is made in Taiwan and in produced by a number of international certification. Let consumers buy at ease, use at ease. Name of Product Two use a quilt - pattern:Rose Model DR-02B Material : Superfine Fibre 100 % Weight : 2400 grams +-0.5kg Single Size: 150cm x 210cm +-3cm Double Size: 180cm x 210cm +-3cm Queen Size: 180cm x 210cm +-3cm King Size: 180cm x 210cm +-3cm **PASS Free Formaldehyde Content Negative ion bedding are made from the fiber which called ï¿½? ?Superfine fiberï¿½? ?,making them nicely soft, ventilated, comfortable and durable. By our unique and professional technologies, make the ion mines,which are taken from the mountains of Canada,through the high temperature of 1200 degrees to filter impurities for purpose,then combined with fiber eventually. Providing full of negative ion energy which are guaranteed not only in 800 ions/c.c above but also effective period of 5 years at least. We adhere our bedding is made in Taiwan and in produced by a number of international certification. Let consumers buy at ease, use at ease. Name of Product Double-Sidenegative ion Shawl Model B-01A Material : Superfine Fibre 100 % Weight : 600 grams Size: 135cm x 67cm +-3cm **PASS Free Formaldehyde Content Negative ion bedding are made from the fiber which called ï¿½? ?Superfine fiberï¿½? ?,making them nicely soft, ventilated, comfortable and durable. By our unique and professional technologies, make the ion mines, which are taken from the mountains of Canada,through the high temperature of 1200 degrees to filter impurities for purpose,then combined with fiber eventually. Providing full of negative ion energy which are guaranteed not only in 800 ions/c.c above but also effective period of 5 years at least. We adhere our bedding is made in Taiwan and in produced by a number of international certification. Let consumers buy at ease, use at ease. Name of Product Negative ion back cushion Modelï¿½ KP-04B-purple Material : Superfine Fibre 100 % Weight : 400 grams +-0.5kg Size: 45cm x 75cm +-3cm **PASS Free Formaldehyde Content Negative ion bedding are made from the fiber which called ï¿½? ?Superfine fiberï¿½? ?,making them nicely soft, ventilated, comfortable and durable. By our unique and professional technologies, make the ion mines, which are taken from the mountains of Canada,through the high temperature of 1200 degrees to filter impurities for purpose,then combined with fiber eventually. Providing full of negative ion energy which are guaranteed not only in 800 ions/c.c above but also effective period of 5 years at least. We adhere our bedding is made in Taiwan and in produced by a number of international certification. Let consumers buy at ease, use at ease. Name of Product Negative ion Comforter Model BB-00B Material : Superfine Fibre 100 % Weight : 3100 grams +-0.5kg Size: 180cm x 210cm +-3cm **PASS Free Formaldehyde Content Negative ion bedding are made from the fiber which called ï¿½? ?Superfine fiberï¿½? ?,making them nicely soft, ventilated, comfortable and durable. By our unique and professional technologies, make the ion mines, which are taken from the mountains of Canada,through the high temperature of 1200 degrees to filter impurities for purpose,then combined with fiber eventually. Providing full of negative ion energy which are guaranteed not only in 800 ions/c.c above but also effective period of 5 years at least. We adhere our bedding is made in Taiwan and in produced by a number of international certification. Let consumers buy at ease, use at ease. 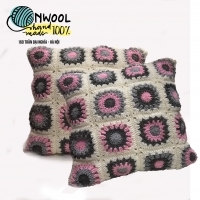 Name of Product Negative ion back cushion Model CG-04B-pink Material : Superfine Fibre 100 % Weight : 400 grams +-0.5kg Size: 45cm x 75cm +-3cm **PASS Free Formaldehyde Content Negative ion bedding are made from the fiber which called ï¿½? ?Superfine fiberï¿½? ?,making them nicely soft, ventilated, comfortable and durable. By our unique and professional technologies, make the ion mines, which are taken from the mountains of Canada,through the high temperature of 1200 degrees to filter impurities for purpose,then combined with fiber eventually. Providing full of negative ion energy which are guaranteed not only in 800 ions/c.c above but also effective period of 5 years at least. We adhere our bedding is made in Taiwan and in produced by a number of international certification. Let consumers buy at ease, use at ease. Name of Product Negative ion back cushion Model CG-04B-light green Material : Superfine Fibre 100 % Weight : 400 grams +-0.5kg Size: 45cm x 75cm +-3cm **PASS Free Formaldehyde Content Negative ion bedding are made from the fiber which called ï¿½? ?Superfine fiberï¿½? ?,making them nicely soft, ventilated, comfortable and durable. By our unique and professional technologies, make the ion mines, which are taken from the mountains of Canada,through the high temperature of 1200 degrees to filter impurities for purpose,then combined with fiber eventually. Providing full of negative ion energy which are guaranteed not only in 800 ions/c.c above but also effective period of 5 years at least. We adhere our bedding is made in Taiwan and in produced by a number of international certification. Let consumers buy at ease, use at ease.